Step away from your desk for central Iowa's largest one-day volunteer event! What if 3,000 people in central Iowa left their offices on the same day? Would chaos ensue? Or would our community end the day a better place? Over the past 24 years, United Way of Central Iowa has organized a massive volunteer event involving dozens of companies and 4,500 employees—to promote employee engagement, raise awareness about community issues, and benefit central Iowans who need our help. With more than 100 projects to choose from for groups of different sizes, interests and skill sets, you can select a project and a United Way partner that complements your team. Employees come home knowing they made a difference in the lives of their neighbors in need. That's a feeling that can't be captured without leaving your desk to engage with the community directly and personally. In a single day, you and your colleagues can improve the lives of your neighbors. Individuals volunteered with 26 United Way partners on 160 different projects. Volunteers contributed 9,462 volunteer hours, a value of $225,500. For your ease, we'll manage your employee sign-up and provide a unique url for your team's selected project. If you have questions, please contact Shirley Burgess at shirley.burgess@unitedwaydm.org or 246-6519. Provide specific project details: scope, tasks, skills required. Request a specific number of volunteers. Browse the list of projects online before signing up. Review project details to find the best match for employees' skills. Register a team for a specific project. Receive a unique URL from United Way to send to employees to sign up. 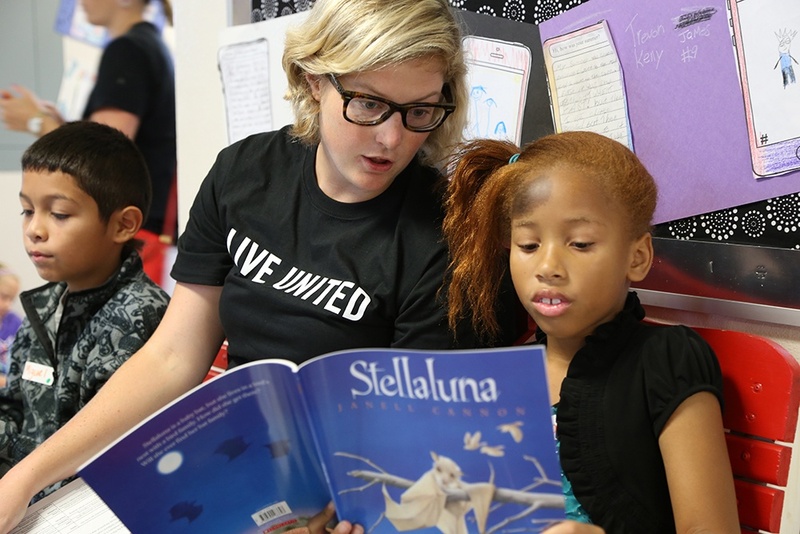 In addition to browsing the variety of projects benefitng broader United Way partner needs, you might consider one of United Way's two signature volunteer projects that align with our Community Goals for 2020 in education, income and health. READ to SUCCEED: Volunteers visit a local elementary school to read and use literacy kits with students. It's Alarming! : Volunteers collect alarm clocks for Des Moines Public Schools to help improve student attendance, correlated with academic achievement.